Can this defense stop RPOs and boot legs? I hope so, but I m not optimistic. I m very concerned about the right side of the oline going against Short and Peppers. We have a tendency to blow assignments on defence, which might actually help us completely screw up the reads on the RPOs. I hope you re right, but Cohen made them look silly. Carolina is probably going to keep the defense in base personnel a decent amount, I m not liking Bond trying to defend anyone. So do I, otherwise it’ll be a long afternoon. I think we stay in nickel or even bring in a third safety to cover the TE in base personnel. Kinda like what we should’ve done with Barron when it became clear he got lost more than 10 yards off the ball. We either win in a track meet, or this is another Chicago. Carolina's offense isn't quick strike like ours unless someone breaks a big run. I think we could win a shootout just because we can score a lot faster. But their defense is legit. If we can't do something to keep them honest, be it running or throwing screens, we might be in for a long day. But they don't have anyone who can stop our weapons. Which all sounds a lot like the Bears game. Except Carolina has a legit QB. I really want to see Liedtke a shot at guard, still think Cappa s best position is ultimately RT. Curry too. We're gonna need everyone to try and contain Cam. There's a whole mess of stuff in here. 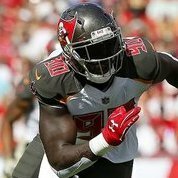 It s easy to beat up Smitty, but Licht and Koetter must bear responsibilty for the mess on defense. What a weird team. Top ranked offense, top 5 sacker in the league, terrible defense and special teams.